Adjacent flight hopping is the allowance that the airline makes for a passenger to move to a confirmed seat on a different flight without paying either a change fee or a paying for an uplift in fare. For both United and Alaska, flights can be hopped starting at check-in time right from the mobile application. There are so many times when it is valuable for either personal or business reasons to change to a different flight. Having the option to pick an alternative flight gives you freedom – it lets you compensate for mistakes, stop in to see old friends, or add that one critical meeting to your visit. 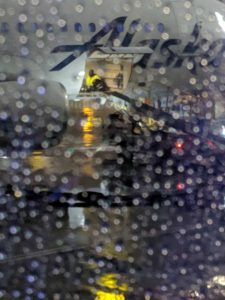 Alaska lets you hop flights on the same calendar day as your flight, which gives you a limited number of choices -generally, you can vary your fight by up to 8 hours or so, but only if there is an earlier or later flight to be had. United, on the other hand offers hops in a moving 24 hour window, which gives you the opportunity to confirm a seat on a flight the day before or after. You can even walk your flight forward 2 days if you are willing to monkey-bar it, ie grabbing later and later flights as the 24 hour window opens those options up. It doesn’t always work and you can get burned if you make assumptions about what will be available to you (especially watch out for codeshares, they are not eligible). But I have had excellent luck with this feature, it has made my life so much better so many times. It would be very difficult to give up. The obvious answer is that any business class food service is great when you’ve been upgraded. Anything less is just being churlish :) I appreciate the Alaska non-stick trays and the United practice of serving appetizer and entrée together rather than separately (because it means the amount of time I have to close my laptop is less). I like Alaska’s wine selection. In the regular cabin, I love the United policy of granting a free beverage & snack to premier 1K folks, it is a really thoughtful acknowledgement. United has the best mobile app, hands down. From a status perspective, I especially appreciate that united has the 1K dedicated phone line listed in the app so I can easily call it, while the Alaska app doesn’t even tell me I get a phone line, let alone what the # is. Seat selection is also much easier on United, Alaska does really wacky things like tie your upgrade ability to your seat changes, where picking a seat sometimes results in a threat to remove you from all upgrade lists. It is *really* hard to earn MVP Gold 75k status on Alaska, when those 75k miles have to be domestic and are judged on actual distance, not spend. 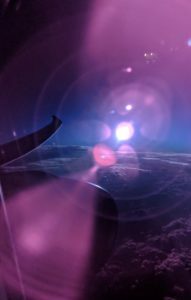 You can’t buy your way into it (first class flights earn a multiplier but not a huge multiplier), you just have to fly. We’re talking 15 cross-country flights in 12 months. But once you earn it, you get upgraded a *lot*. Compare this to United, where there are a gzillion 1K flyers. If you’re on a cross-country flight you can *try* to use a RPU or GPU but generally those are more like a cruel joke than a perk, the chances of it actually putting you high enough on the list to get an upgrade is low. As much as the top tier is amazing on Alaska, the next tier down is a disaster. Being a tier down on United essentially lowers your chances to get an upgrade from improbable to impossible, but – you can still book a confirmed seat in Economy plus. The Alaska Gold MVP doesn’t let you book in their premium section, it is part of the upgrade pool. So, your only confirmed option at booking time is economy. That is a non-starter for me. United wins this hands-down. United has more lounges with more space to sit, in more airports. The décor is brighter and there are more windows. 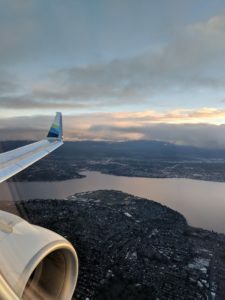 As someone with multiple home bases and varied airport destinations, flying Alaska is a problem in this regard – and yes, I have a priority pass and can use it for other lounges – but often those passes (and even Alaska’s partner lounges) have “hours”, so if you fly first thing you are often out of luck. Lounge access is a paid-for perk, but I did like that on Alaska, you got a discount for being MVP Gold 75k. I can only really talk about Alaska’s status matching, since I earned my 1K premier membership the old-fashioned way. I’m not sure Alaska’s status match program does what is supposed to do, which is to lower the friction for high value frequent flyers to change to Alaska. I status matched over at the end of April, and had 75k status for 8 months – 2/3 of the year. In that 8 months, I flew 50k miles (2/3 of 75,000 miles). I got a lot of value from the match – and I flew at velocity commensurate with the privileges that were granted to me. I fully expected to keep up that velocity, but it turns out that Alaska doesn’t take velocity into account. Despite flying as frequently as any 75k member for 8 months straight, I am only a gold MVP today. Had I status matched in in the October time-frame, I would have gained status 2018 and 2019, but I made the mistake of coming in at a time when achieving the goal was nigh impossible. While I respect that Alaska gets to set their rules any way they see fit, this is a terrible business decision. Had top tier status been conferred at the end of 2018, I would have worked hard to continue to earn that status. But being MVP gold, there is zero incentive for me to put that kind of work in. Not when it means that I can only confirm an economy seat in advance. A guaranteed Economy Plus seat on the aisle with a free beer and a free sandwich on United trumps an economy seat with some chance of last-minute premium economy upgrade on Alaska always and forever. In case you are wondering, I did call Alaska to make the case that it was a win-win for me to stay at MVP Gold 75k and continue to fly at my current high velocity. The proposition was politely declined, because apparently my status match was the only accommodation Alaska was willing to grant me in the next two years. I can’t really argue with that, it is their program. So, I guess it ends a draw. It was very nice of them to let me try MVP Gold 75k. I definitely did not abuse the opportunity, I flew more than 6,000 miles a month. It was a great relationship while it lasted, and I will probably fly a little bit with them still, when the price or time suits my calendar. 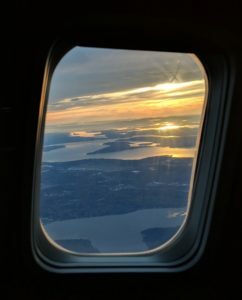 Alaska’s top status is great – they win at business upgrades, but aren’t quite as strong in the areas of the app, the lounges, or the flight hopping options. 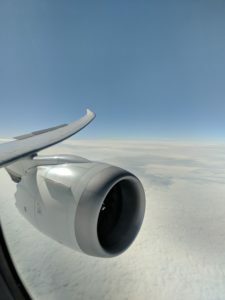 They are a great airline with great staff, and other than that one time they upgraded me, then gave away both my new seat and my old seat, I was consistently happy with how things worked. If you decide to status match in to the program in anything other than January or Oct-Dec, just know you are highly unlikely to be forming a permanent top-status relationship, no matter how much of a high value customer you turn out to be. In comparison, United gives you a lot of freedom and flexibility to hop flights, lots of lounges, free meals no matter where you sit, the ability to earn miles on international flights. 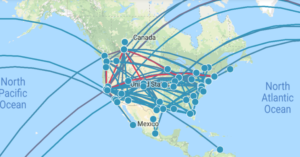 If you travel enough that you can devote domestic travel to Alaska and still make 1K with United using international, it is a pretty great combination. This entry was posted in Me, my life, and I by Pamela. Bookmark the permalink.